"Delhi-NCR Metro" by FINOIT is an effort to append convenience and flexibility to National/International tourists and proud Delhiites by providing essential information related to Delhi Metro System as well as of Delhi. It is an offline application, which once installed, provides all the information of Delhi Metro and much more. 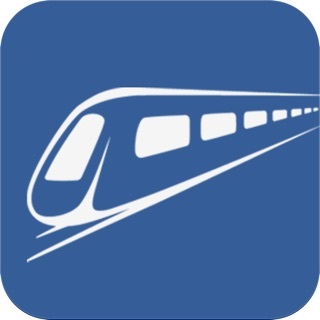 It has been designed with a very user centric approach, with some of the most updated features like "Route search", "search by location", "search by address", interactive metro map to calculate fare and time from station A to station B, Apple map, category wise segregated places list of Delhi-NCR zone, line information, detailed information of individual stations. It also includes recently updated stations and respective fare information. •Route search results on Apple Maps and individual station information. We are dedicated to keep it updated, and your participation/feedback is most welcomed to make the App more user-friendly. Please write to us on support@delhincrmetro.com with your feedback. Suggest us places which are important and should be included in the next version of App. And if you like our app then kindly rate your experience on the market. One of the best app by Delhi metro. They have interactive maps in new update. It’s pretty easy to choose the stations you want to travel to and from. It provides alternative routes depending on time and change preferences. Best part about the app is they keep updating it from time to time which is very convenient. When a new route is added or there is a new line or an expansion of existing line- they update it pretty quick so you don’t have to go on google to see how to go about. This app is really handy not only for outsiders coming to visit Delhi but also for insiders as it eliminates hassles to remember the routes to reach your destination. Latest qualm I have is that Extension of Magenta line is not included with any update. Wish this app could get more regular updates. Additionally options of searching for places to watch out in Delhi or places to visit nearby each Metro Station have some bug as it cross-links the places. Would love this app to become more robust..and error free. I would have loved to give this app 5 stars but owing to its very late updates of routes lands it to 3 star rating only. I don’t understand why the app is not updated in advance when a new metro route is getting inaugurated. Forget about in advance, the app is usually not updated to latedt opened routes even months after new metro lines are opened to public. Latest example is Janakpuri west - Kalkaji corridor. The app is still not updated to show this latest route.